CHIROPRACTOR Reservoir Hills STREETVIEW Find your local DC. Keywords; chiropractor reservoir hills streetview. She was the first to graduate from her class at the Durban University of Technology and was the youngest practising DC in South Africa in 2009. She is the proud recipient of the prestigious Milani National Internship Award in 2009. 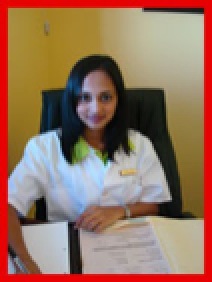 Dr. Maharaj was also an official presenter and speaker at the National Congress of the Chiropractic Association of South Africa in Cape Town in 2009, and also presented her dissertation findings at the Faculty of health Sciences Research Day at DUT in 2010. She is an active registered member of the Chiropractic Association of South Africa (CASA) and she is registered with the Allied Health Professions Council of South Africa (AHPCSA). She has attended numerous nutritional, supplementation and chiropractic workshops and seminars and continues to keep undated with the latest research findings. Dr Maharaj is also a part-time lecturer at DUT, but she makes time to serve the community as the voluntary Clinician on duty for a community-service initiative at the Narain Jeawon Center, Sea Cow Lake in association with the Arya Prathinidi Sabha and DUT, and serves the profession as a Masters level Research dissertation supervisor.